Are you getting debt collection calls about the same debt over and over again? Calls that kept interrupting your normal life and getting under your skin. You tried to get them to stop calling your cell phone, but nothing worked. These collectors are doing this to thousands of people right now as you read this. You are not alone. If you can relate to this situation, we have a solution for you that will catch your collector breaking the law and make them pay big bucks for doing it! Across the country, this exact method has recovered millions of dollars from hundreds of different collectors in 2016 alone at $500 to $1,500 per call under a law called the Telephone Consumer Protection Act or TCPA. Did you give the collector that is calling your cell phone number? Have you asked them to stop calling? Were using a robodialer? (this is my job to prove up – not yours so don’t worry. All I need to know is who was calling to bust them). You have already done the hardest part: been harassed over debt! The rest is easy: getting paid for the cell calls. In fact, if you start now, you can get paid for their mess ups in just a few months. Imagine what it would be like to hear the phone ring and know it is someone you WANT to talk with. Imagine what it would be like to know that you will NEVER have to pay that collector any money. Imagine what it will feel like to spend THEIR MONEY on a fun vacation or a new ride. Being a member of the New York and Georgia Bar Associations for the past 15 years I have represented clients in a variety of legal matters. I have filed millions of dollars of cell phone calls in 2016 alone with more to be filed. In addition to constantly researching and studying new techniques, I also consult with various subject-matter experts to make sure we come up with the ideal formula for maximizing your results against cell phone violators. I have also never lost one of these cases. I am confident that I can prove your case up. Get all the cell calls to stop – You get back to having quiet mornings and peace of mind without those harassing calls always blowing up your phone. Get the debt deleted – Once we have caught the collector breaking the law, not having you pay that debt will be the least of their problems. Get paid for every call – Once we get our proof, we will make them pay for every illegal phone call. Your rights will be fully enforced. A guy calls me about an unrelated legal concern. I address it and tell him what I do. He goes on to tell me about a credit card company that keeps calling his cell phone. I asked him the company, so I knew they were using a robodialer (they almost all do). He tell me that he did. He calls me back a few weeks later with a list of the date he told them to stop calling his cell phone and a list of every date they called after that. I got his credit card debt deleted. I got his credit card company to mail us a check for almost 10k. Done and done. 1. Figure out the number of illegal phone calls. 2. Figure out who was calling. 3. Prove they broke the law. 4. Negotiate a settlement generally. 6. Get debt erased from credit report. 7. Accept a check from the bad guys. 8. Get paid out of that check. 9. Smile and shake hands. And just to sweeten the deal, we help you review your credit report for other ways to get you paid and increase your credit score – for free! And you get all of this for FREE until we win! Don’t Let the Window Close by Waiting Too Long to Sue Debt Collection Companies. Congress bows to big business – both Democrats and Republicans. How long do you really think they are going to allow normal people to make companies like Bank of America pay millions of dollars to people who don’t contribute millions of dollars to their political campaigns? These laws will change on a dime. Not to mention that class actions are going on right now that stop your right to sue. That’s right! You may get zero PLUS lose your right to sue. If you have ever gotten a post card in the mail or a letter talking about a class action, YOU ARE ON NOTICE that your ability to sue is about to be over. Your right to sue can change on a dime. It is risk free. I can make them pay you for every call and get debt deleted. You have no reason not get compensation for them breaking the law. You deserve to live the life you want. 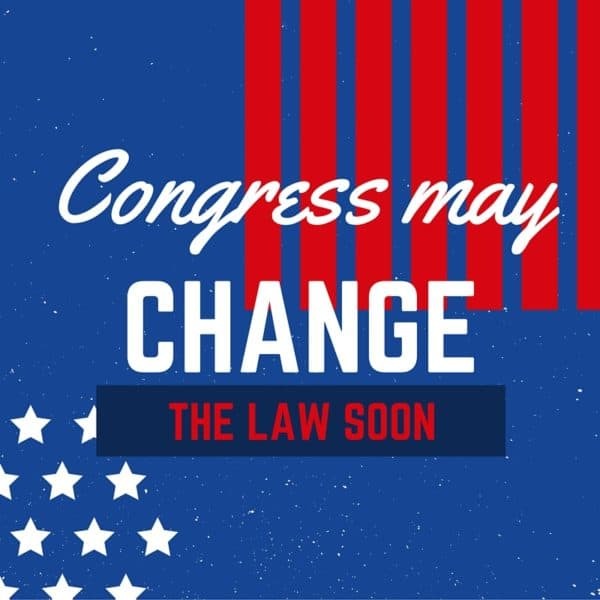 Act before Congress changes this law for good. I don’t charge anything to start. 2. If we feel that you will chose Joseph McClelland if we help you find out if you have a case. We also believe that once you experience what we can do for you, you’ll want more of our services and maybe…just maybe…you’ll come back for other reasons or refer us to your family. No fine print…no “hidden trials”…no shenanigans. Just what you need to stop the calls and the results you want by getting you paid (these are US dollars, by the way). Nothing in life is certain, but I have not lost one of these cases to date. I can guarantee you that I will not charge you if I can’t get you a recovery. How long will it take to handle my case? Totally depends. I have closed TCPA files in under 3 weeks from when they answered – some are still being litigated. Are there any deadlines for getting paid for cell phone calls? Yes. Not only do you have statute of limitations questions, you also have class actions that may be limiting your right to recover ever. Your deadline for illegal cell calls gets closer every day. Each day another class action settles limits your ability to file this type of case. How much does it cost to hire you as my lawyer to stop the calls and make them pay me for the old calls? I only charge a percentage of what we are able to recover for you. We are in this together. If for some reason we do not win, then you will not owe me one penny. There is no risk to you if we don’t recover.